The photographer who took the official Visit Britain Olympics photographs has described the variety of kit he uses, which includes up to 20 different camera bodies. 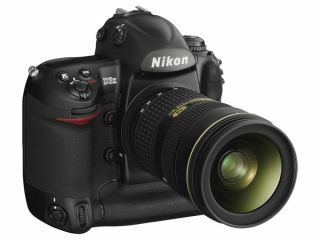 In an interview with N-Photo magazine, Craig Easton, says that he regularly uses about five different models of cameras, but says that Nikon DSLRs are his favourite. "The nature of the work I'm shooting dictates my choice of camera system, though - you just work differently and take different pictures with medium/large-format or rangefinder cameras," he said. "You can't throw a Hasselblad around as much as a Nikon, but you can't handhold a big Nikon DSLR at 1/4 sec like a Leica!" Craig says that he mainly uses his large format Hasselblad in a studio or location portrait setup, along with some landscape work. It is however the "versatility of the Nikon system" which appeals to him the most, especially those bodies with weather sealing. "They're battered and knocked around, in a right state, but they are meticulously maintained and they still work. None of my cameras look new - I work them hard," he told N-Photo. Originally shooting with Nikon film cameras, Easton now uses a Nikon D3x as his main DSLR, while also having an older D2x on stand-by. Other equipment in Easton's kit bag include an Elinchrom Skysports and three Nikon flashguns. Easton started his career as a photographer at the Independent and has since worked for a wide range of clients. The official Visit Britain Olympics photographs were shot in variety of locations across the country. The full interview, along with a selection of shots from both the Olympics campaign and Easton's back catalogue can be found in the latest issue of N-Photo, on sale now.